The blog roll automatically orders the list placing the most recent posts first so the more often you post, the more often you hit the top of the list. Yes, it's a nifty little tool that we're under-utilizing. If you want to see the layout, you can find our current "Bases of Operation" blog roll on the right sidebar >>> scroll down. 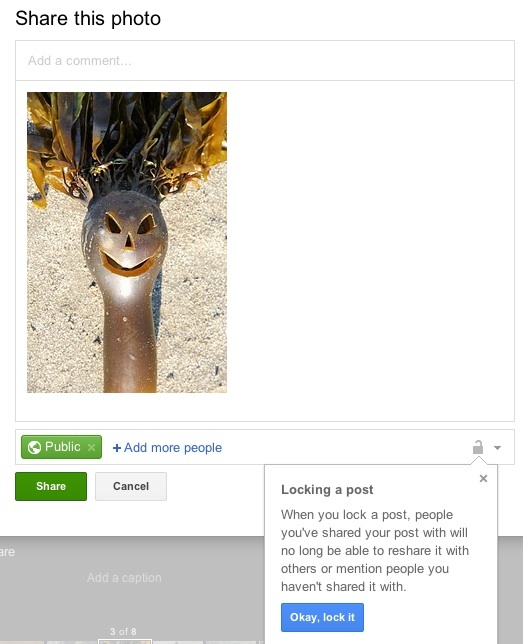 We're looking at a new layout that would show only one or two of the most current posts on the main page, and the blog roll would be moved to the bottom of the post section so it's wider and easier to see. (Older posts would still be available via the older posts link or the 'Search This Blog' function. This might help our members find posts they're interested in reading as well as improve traffic to our members' sites. This list should be of great interest to some of our members. I'm definitely sensing an upsurge in SF/R interest from the e-pubs. :) What's your take? preference for manuscripts of at least 30,000 words. submissions that would really excite us! War. There are so many possibilities. with strong characters and great character chemistry and development. Diesel Punk, etc) is a genre in high demand. civil service, or the military. And that's not just limited to the heroes. protecting, or works beside the hero in an equal position. to see novels that express that. you focus on in your manuscript to optimize sales potential. 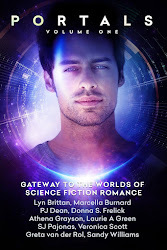 Revelations of Tomorrow, The first book in The Telomere Trilogy is now available. "I haven't been that innocent for many rotations." Noah placed her holster and weapon next to the hat, closed the drawer, and unbuttoned her jacket. "Yeah, but being 450 years old, that's a long time ago. How can you possibly remember?" Lieutenant Matthew Amherst smiled at her through the mirror from across the room where he set the last piece of silverware on the small table. Noah scowled at him with a warning finger point. He only winked at her, slipped his hands in his trousers and strolled over. Part of her wondered how she remembered so far back. Sometimes it was easy, and other days the distance of it smacked her in the face. Matthew stepped up, wrapped his arms around her waist and rested his chin on her shoulder. He peered at her through the mirror, gave her a lopsided grin, and wiggled his eyebrows. She laughed again and reached back to rest her hand on his cheek. The worrisome thought slipped from her mind. She grinned at him. "You younglings don't realize Telomere rotations are nothing in my circle." "That is true." He pinched her sides and released her. "That is true," Matthew said again as he guided her to the table. They sat to eat. Noah and Matthew usually ate in the mess hall with the crew, and usually separate. Occasionally, though, Matthew called a private evening. She couldn't resist, and in this instance she had a feeling it would be the last in a while. "Have you given any thought to our arrival strategy?" Matthew asked in between bites. "Yes. It's too late to feign ignorance, or hide her. I'm not sure how we can avoid altercation with space port security." Matthew scowled over his food and mumbled, "Damn, pompous security. Love pestering Imperial vessels." Noah suppressed a chuckle. As lead officer for the hangar and cargo areas, he had to deal with port security more than most. Catching her humorous look, he flashed a grin and shrugged. "You're not going to give her over, are you?" he asked once his mouth was clear. "Hell, no. That girl is too young to know what she's gotten into, but I'm not. We're Merchants." She stabbed at her food a little too vigorously, the fork clanked against the plate, and she glanced up. Matthew stared at her, his eyes intense and smoldering. He reached over and ran a thumb down her cheek, causing her heart to race and her skin tingled. Sea green eyes twinkled against the tan of his skin. He'd showered so his black hair lay disheveled and curly. Her hand itched to run through the wet locks. "You're such a wonderful person, Noah," he whispered. "Be with me, always." Sadness pressed down on her and pushed away the lust. Noah searched for her voice, trying to find the right words. "I am, Matthew." But always is such a subjective term. Though his eyes dimmed, he tapped her nose good-naturedly. It hurt Noah more knowing she was the cause of it. There was nothing to do about it, though. "Your eyes give you away, love. You're worried. The differences between us, I don't care about them." Noah pursed her lips. Sharp pain of emotions ached in her heart, intensifying. She pressed her hand to her chest and turned to stare out the window for a moment. How could he ever understand? Only in his thirties, he had barely scratched the surface of life. Guilt pulled at her conscience. She shouldn't be with him, if she were honest with herself. But the happiness and affection she felt toward him took control when she saw him. It wouldn't end well, that she knew for certain. "You don't understand. I can promise you your always. You can't promise me my always. I just can't do that to myself, or to you, Matthew." 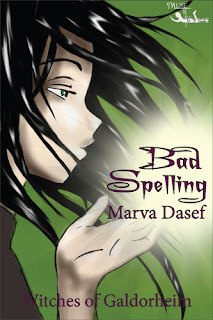 On October 14th, MuseItUp Publishing released Marva Dasef's first book of the Witches of Galdorheim trilogy. It's not SFR, but does have romance, magic, and adventure. 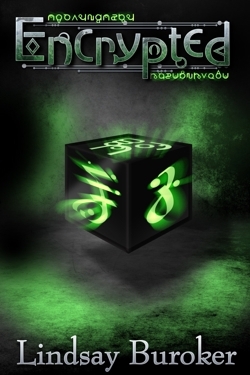 BONUS Story "Spellslinger" if you buy from MuseItUp. Click here to see the schedule for fun posts and hosts running from 10/14 through 10/31. The path was clearly magical. The foliage, although wild and unkempt, glowed with greenery and flowers. Giant mushrooms, some the size of dinner plates, sprouted under the bushes. Birds twittered in the trees. Kat ducked as a bumblebee as big as her fist droned past her head on its way to another blossom. Here it was spring, just like on Galdorheim under the shield. Kat pulled off her parka and draped it over her knapsack. Rune soon did the same, even though his tolerance for extreme temperatures was usually much higher than Kat’s. They were strolling along, enjoying the warmth, the flowers, and the buzz of the bees, when Kat looked up to see an eagle riding an updraft in a lazy circle above them. “Look!” Kat pointed. Rune glanced up at the bird. “Interesting…not! C’mon, Kat, it’s just an eagle,” he replied. A few moments later, Rune stopped abruptly, holding up his hand. Rune turned slowly in place, trying to home in on the sound. Kat watched, puzzled. The hillside by the path trembled then heaved upward. Dirt and rocks flew through the air. The shaking earth knocked Kat backward. She plopped onto her behind with a yelp, ducked her head, and covered it with her arms to fend off flying gravel. Peeking out from beneath her upraised arms, Kat's eyes widened, and her mouth dropped open. In front of her, the shaking earth rose and unfolded. Then a monstrous glob of rocks and dirt rose higher and higher into the air. Two huge boulders blinked at her. Kat screamed. A gaping mouth appeared beneath the eyes, and a monstrous nose jerked and wriggled its way to a place between the eyes and mouth. Kat sprinted after Rune, who quickly outpaced her, as the giant continued to grow and take shape from the rocks and earth. Kat risked a quick glance over her shoulder. A horrendous, rocky fist swung in a downward arc, its target appallingly clear. She tried to force her flying feet to move even faster, hoping to outrace that ponderous, clenched hand. She looked up to see the eagle plummeting downward, its wings folded against its sides. Kat aimed a thought at the eagle. “Help me!” The eagle flared its wings and stopped abruptly in midair. It then turned and flew away. She was disappointed but not surprised when the eagle left. No use. She picked up her feet and raced after Rune. If you like horror, you'll love this show! Submissions are due by the end of December. 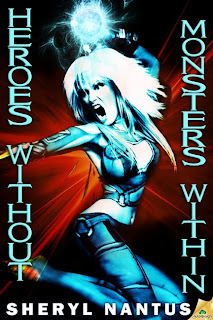 For more information, beam over to Misa Buckley's blog. Please give a big welcome to our newest Brigaders!